I am trying to dry angle my stash. I am a bad girl and I tend to not wind my materials into balls. What results is a hot mess in my stash bin. Recently my roommate bought a serious amount of apples from Costco. I took one look at the package and thought… Ball storage! 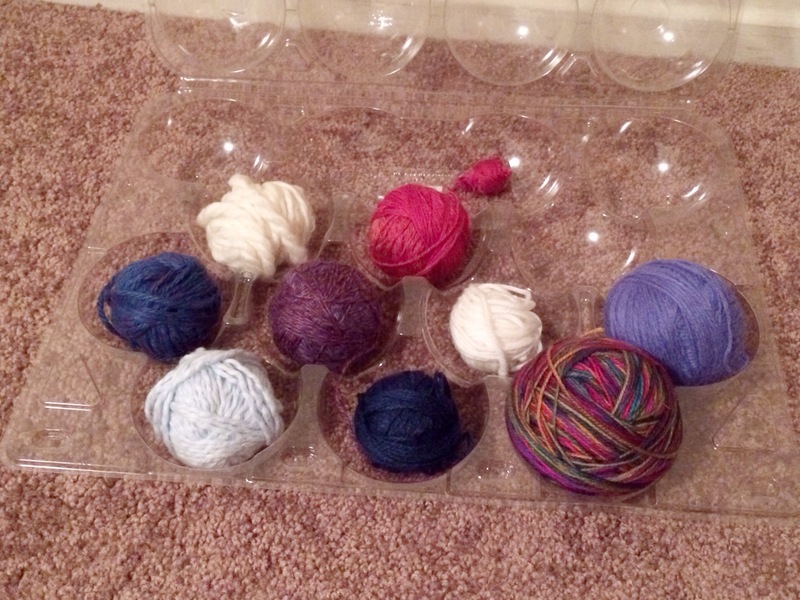 I just wiped the plastic box and placed my yarn in. 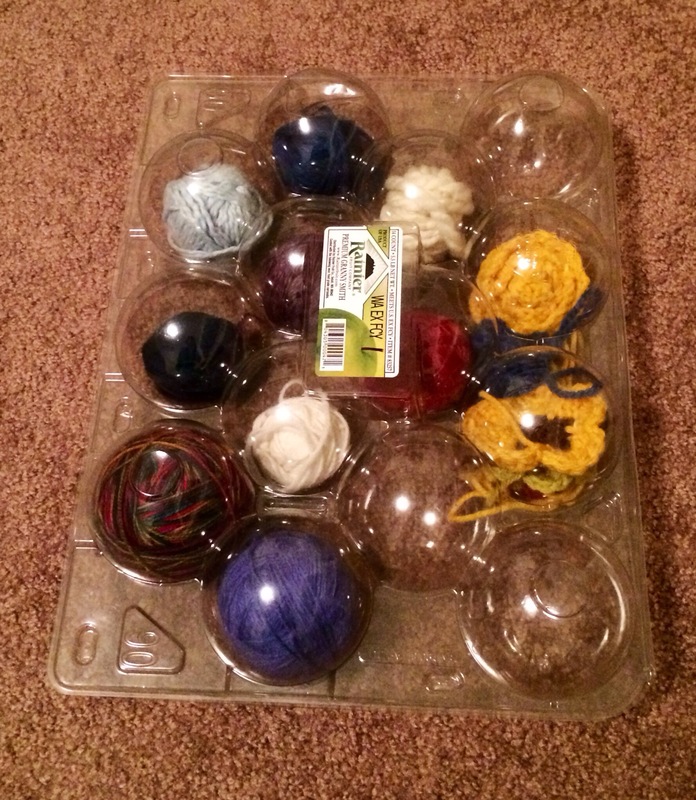 Perfect for storing and displaying those smaller balls of yarn. Yay upcycling!